Many of us spend all day with our computers and cellphones constantly within arm’s reach, so it may not be surprising that these items are now working their way into our kitchens. Some homeowners renovating their kitchens are choosing to upgrade electronics in these spaces, and among this group, home assistants and dedicated kitchen tablets are on the rise. 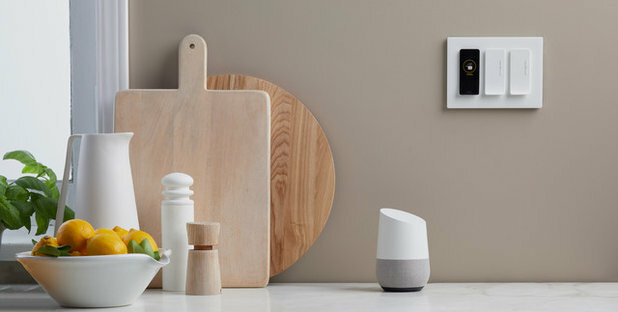 Among the homeowners upgrading electronics as part of their kitchen renovations (11 percent), interest in home assistants such as Amazon’s Alexa and Google Home jumped significantly, with 31 percent of this group adding them, compared with 23 percent the year before, according to the 2019 U.S. Houzz Kitchen Trends Study. The study gathered information from more than 1,300 Houzz users who had completed a kitchen remodel or addition project in the past 12 months, were working on one or were planning to start one in the next three months. Growth in dedicated kitchen tablets is also significant: 17 percent of those upgrading electronics as part of their kitchen remodels are including a dedicated kitchen tablet, according to this year’s study, compared with 11 percent the year before. 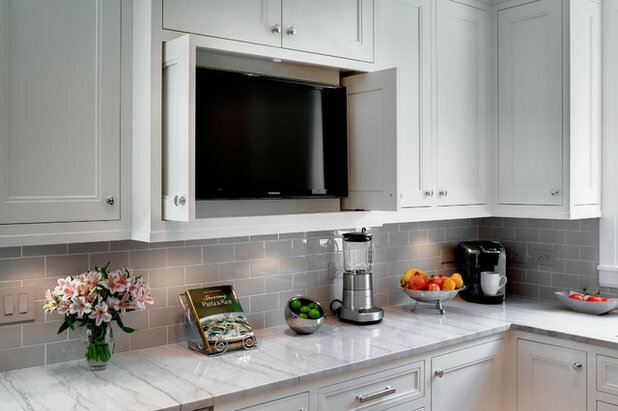 Televisions and docking stations remain popular among those upgrading their electronics as part of a kitchen renovation. Sixty percent of those upgrading electronics as part of their kitchen remodels are including a television in the new space, and half are including a docking or charging station. 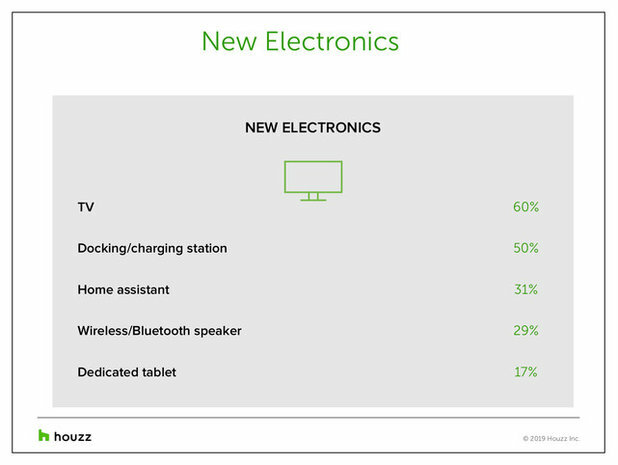 Wireless or Bluetooth speakers are also popular (29 percent) among homeowners upgrading electronics as part of their kitchen renovations, according to the study, though this feature is less popular than in the previous year (38 percent). This kitchen island features a touch-sensor faucet with a satin nickel finish. More than half the upgraded faucets (57 percent) chosen by homeowners who are updating plumbing fixtures in their renovated kitchens include high-tech features such as water efficiency, no-fingerprint coatings or touch-free or touch-only activation. Thirty percent of appliances upgraded as part of kitchen renovations have high-tech features. Sixteen percent of homeowners upgrading appliances as part of their kitchen remodels are choosing appliances with wireless controls and 11 percent are choosing appliances with color touchscreen displays. Other high-tech appliance features they’re choosing include built-in speakers and built-in apps (such as for recipes). 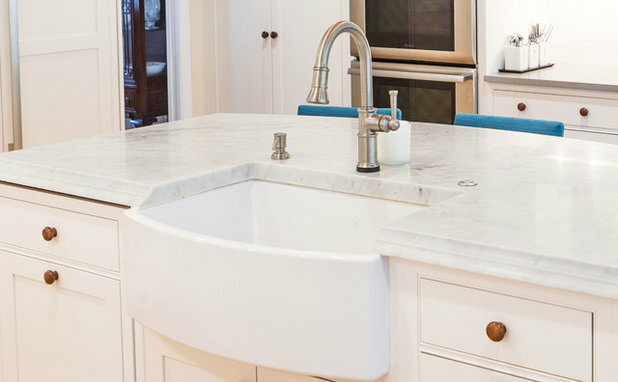 The 2019 U.S. Houzz Kitchen Trends Study gathered information from 1,337 Houzz users who had completed a kitchen remodel or addition project in the past 12 months, were working on one or were planning to start one in the next three months. The study was fielded between Sept. 18 and Oct. 19, 2018.